I Got The Sony Ericsson W350 A Little More Than A Year Ago. Didn't Take Long For Me To Buy A 2GB (M2) Memory Chip, Only Problem Was It Cost About $40 At The Store Because This Is Just About The Only Phone To Use It. The Phone Was Great, I Put Some Money Into It Buying The Cover And Headphones. I Took Really Good Care Of It, Never Dropping It, But About A Month Ago The Flap Broke Off When I Opened It One Night. I Remember Reading About This In Other Reviews Before I Bought The Phone And Thinking To Myself, "That Won't Happen To Me, That Only Happenes To The People That Drop There Phones". DONT THINK THAT! It Happened, And Without The Flap There Is No Way To Close The Phone, Also No Keypad Lock. So After Spending Atleast $30 Unkowingly Going On The Internat While This Phone Sits In My Pocket I Started Looking Into New Phones. Recentley The Phone Has Just Been Falling Apart. The Back Constantly Falls Off, The Sony Ericsson Sticker On The Top Of The Screen Is Gone. The Phone Constantly Will Not Let Me View My Photos, Claiming They Are Corrupt. But All You Have To Do Is The Restart The Phone And Your Pictures Come Back. The Bluetooth Was The Best I Have Experienced So Far, It Found Just About Everyones Phone. Battery Life Is Great. The Phone Says 3GP Format With A H.263 Codec In 176 x 220 At Nomore Than 20 fps. However, Even With That Video's Would Not Play. You Could Here But Not See. As Far As The Music Goes It Was Really Good Sounding, Certain Bass Tones Will Not Play Though. When Playing Music The Phone Gets Louder Then Anyother Phone I Have Ever Heard, But You Loose Sound Quallity Pretty Fast If you Go More Than About 80%. The Speaker Phone Is The Worst Ever. You Can Hardley Here What Anyone Says When It Is On Speaker Phone. I Only Recommend This Phone To Someone As A Temporary. 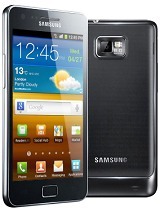 A really sleek and light phone am loving it but the silver button in middle turned black after only two days. What's up with that? The phone is not complete, in the specification they wrote 14mb in built but my phone is 16mb. It's the best phone for you if you're on a budget! It has all the basic and important features. It's super light and sleek as well. Walkman buttons are pretty handy if you listen to music a lot. It is a bad kind of cell because i also had it, did'nt support application sotware and don't have good features and many more things. Unreliable phone. My first W350 went dead after merely trying to transfer mp3's to the phone. The replacement did not fair much better, as the screen would turn gray after a few minutes of phone use. The buttons are tiny and must be pushed with your fingernails should you want accuracy. 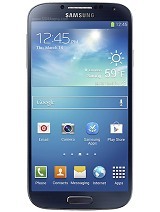 Great candy bar style, but DON'T waste your money on this phone or its flawed design. i think it is the best mobile of sony ericsson. I have this wonderful phone,which is very slim and teh battery works fine for this model. Almost 2 years carrying him gently with no broken FLIP or smth else. Works fine, good quality sound(it is SONY though). Anything else is the quality of the back,u cannot scratch it, strong enough ! NICE MATERIAL ! P.s. w350 is made for messaging and walkman !!! W 350 amazing, no flip break problem. I f flip broken it reflect that u ppl are bad care taker. This phone is extermely nonsense. this phone is not made for who used cell phone very roughly. So delicate and flip is made of plastic. i need to know how to display the time of each call. Bad phone. The flip is just made of plastic and tends to break easily... Acids on your sweat can corrode and erase the orange portions of the phone, and in the long run the keypad will eventually FALL off. w350 rejects applications that runs with bluetooth, and games with multiplayer function. Total of 1947 user reviews and opinions for Sony Ericsson W350.